FBI agents and K-9s find no explosives on the plane, which is cleared to leave. An Air France jet on its way from Los Angeles to Paris was diverted and landed in Salt Lake City on Tuesday after the pilot received word of a bomb threat. 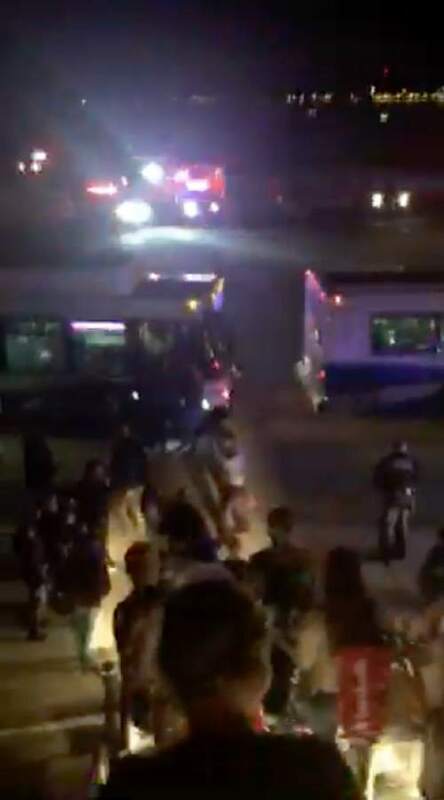 The plane landed about 7:30 p.m., and by 8:15 p.m., 497 passengers and crew from Flight AF65 had made their way to the customs area at Salt Lake City International Airport, according to airport spokeswoman Bianca Shreeve. Shreeve did not know details of the threat, or whether it was connected to a series of deadly attacks Friday in Paris. 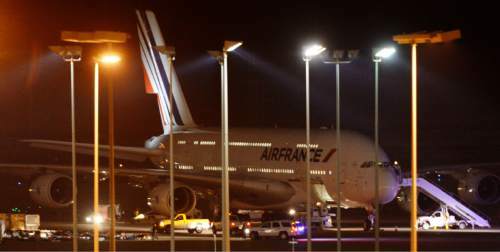 The plane landed safely in Paris at about 10 a.m. Wednesday (Mountain Standard Time) after an 8 1/2 hour flight, according to FlightAware, a flight tracking website. 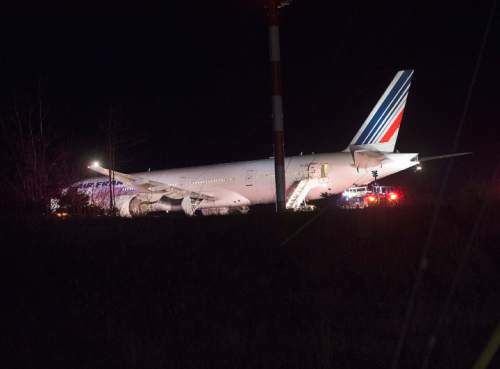 At about 7:30 p.m., another Air France flight took off from Dulles International Airport outside Washington, D.C., and was diverted to Halifax, Nova Scotia, where it landed safely. In Halifax, Royal Canadian Mounted Police Constable Mark Skinner said there were 262 people onboard that plane, which also received an anonymous threat. No further details on that threat were released. 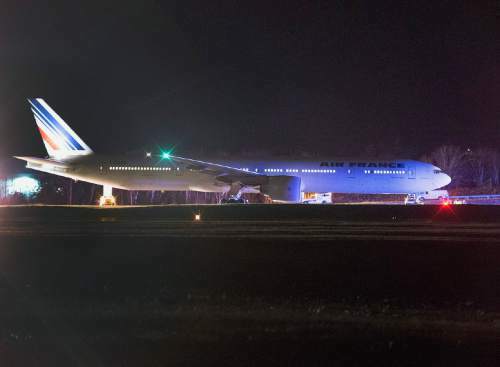 The threat in the Salt Lake City-diverted flight was made by telephone and may have been received by Air France staff, but Shreeve could not confirm who the original recipient of the threat was. Word got to the pilot of the Airbus A380, who notified staff at the control tower that the plane needed to land. "We have protocols in place to keep the plane at a &apos;hot spot&apos; a safe distance from the terminals," Shreeve said. Passengers were taken to the customs area of the airport, where some were interviewed by the FBI. Keith Rosso of Santa Monica, Calif., a passenger on the flight from Los Angeles, said "everything was smooth, everything was great, everything was going swell" for the first two hours of the flight, then things changed. He said he looked at the flight monitor at his seat and "we had made a pretty sharp right turn  we had been almost near Canada  toward Salt Lake City." Airport police investigated the plane in Salt Lake City with the help of two K-9s, which searched throughout the plane and every piece of luggage. At about 10:15 p.m., the craft was cleared to continue traveling to Paris.